Citizens’ Pre-Summit Gatherings: The Gender is my Agenda (GIMAC) pre-summit is scheduled for the 3rd and 4th February and the 7th Citizens’ Continental Conference will be held from 4th -7th February in Addis Ababa. As usual, I am sharing below a personal overview on what is expected to be discussed during the Summit. A decision taken in January 2017 by the Assembly of the Union stipulated that “External parties shall only be invited to AU Summits on exceptional basis and for a specific purpose determined by the interests on the African Union”. According to a note verbal recently circulated by the AU Commission, Addis Ababa based Representatives of non-African Union Member States and International Organizations accredited to the African Union will be allowed to attend the opening and closing ceremonies of the Summit. Organizations that are involved in an approved side event in relation to the agenda of the Summit will only have access to the specific event and not to other meetings of the Summit. President Paul Kagame (Rwanda) will step down from the rotational chairmanship of the Union and President El-Sisi (Egypt) will take over for the next 12 months. As part of its chairmanship priorities, it is expected that Egypt prioritizes a revitalization of the AU Post-Conflict Reconstruction and Development (PCRD) framework policy in link with peace building in Africa and as part of the solutions to forced displacement in the continent. – Institutional Reform of the Union and its implementation: President Kagame will present an overview of the reform and the Chairperson of the AU Commission will report on its implementation. A report of the Commission regarding the alignment of the legal instruments will be considered as instructed by the Extraordinary Summit held in November last year. – State of Peace and Security in Africa and the implementation of the African Union Road-map of Practical Steps to Silence the Guns by 2020. – Humanitarian Situation in Africa. – African Peer Review mechanism and the State of Governance in Africa. – Post-Cotonou negotiations with the European Union. – Free Movement in Africa: The AU Commission will present, for adoption, guidelines on the design, production and issuance of the African Passport to boost free movement on the continent. – Post-Conflict Reconstruction and Development: Egypt is expected to table an agenda item on revitalizing and operationalizing the African Union’s policy on PCRD. – Migration: Morocco is expected to present a report on the establishment of the African Union Migration Observatory. – It is also expected that recent and ongoing developments in the continent such as the post-election situation in DRC and the raise of terrorist attacks will make it to the Summit’s agenda. Africa is home for more than one-third of the world’s forcibly displaced persons, including more than 6 million refugees and asylum seekers and 14.5 million Internally Displaced Persons (IDPs). Forced displacement in Africa is caused mostly by conflicts, poor governance, human rights violations and environmental issues. In the framework of the long-term vision contained in the Agenda 2063, the African Union adopted the Common African Position on Humanitarian Effectiveness (CAP) and called for a ten-year period of transformation to strengthen humanitarian action on the continent. The CAP defines Africa’s new humanitarian architecture including the creation of an African Humanitarian Agency as a vehicle for Africa’s humanitarian action. The new humanitarian architecture also emphasizes addressing root causes and achieving sustainable solutions, as well as bolstering the capacity of States and other stakeholders to tackle the challenges of forced displacement on the continent. Throughout 2019, the African Union will mark the theme of the year focusing on refugees, Internally Displaced Persons and returnees. The Union will also commemorate the 50th anniversary of the adoption of the 1969 Organization of African Unity Convention governing the Specific Aspects of Refugee Problems in Africa (OAU Refugee Convention) as well as the 10th anniversary of the adoption of the 2009 AU Convention for the Protection and Assistance of Internally Displaced Persons in Africa ( the Kampala Convention). – 6 regional consultative meetings of AU Member States and other stakeholders, focused on refugees, returnees, IDPs or statelessness issues, as well as cross-cutting consultative meetings to focus on issues affecting all these persons of concern. – An African Humanitarian Summit on Refugees, IDPs and Returnees to be held in November 2019, which will generate state commitments in a decision/declaration and pledging of requisite resources for the implementation of the CAP on Humanitarian Effectiveness in Africa. – A multi-year law and policy humanitarian action training. – Promotion of ratification and implementation of the AU Convention on IDPs -Kampala Convention. While focusing on the theme of the year 2019 and the institutional reform of the Union for a greater impact is commendable, it is important for our Union to ensure that, embracing a new theme each year does not stop or slow down efforts and investments towards implementation of commitments, policies, road-maps etc, that we have adopted under the themes of previous years. For example, what have been the impacts of the AU Year of Human Rights (2016 theme) on African people’s life? where are we with our commitments under the Road-map for Harnessing Demographic Dividend in Africa (2017 theme)? How much have we advanced in fighting corruption in the continent (2018 theme) ? … How close are we to “silence the guns by 2020″as decided several years ago? Our Union’s Member States must regularly give account to citizens on what has been achieved at national level on those previous commitments, and, this accountability mechanism should be part of the ongoing institutional reform of the Union. The AU Commission should be empowered to carry this on by holding Member States accountable for the implementation of adopted policies. It is also important to keep in mind that people of Africa aspire to a greater democracy, rule of law and the respect of all their human rights, fundamental liberties as well as good governance, which have been reaffirmed in several AU instruments and recognized as our shared values. Those values are the pathways to our 2063 and 2030 aspirations. There are no other ways. The African Union has the necessary leverage to make it happen. Let’s just do it. Feel free to drop me an email on assogbavi@me.com should you have any questions, suggestions or comments. If you want to receive an automatic alert whenever I post an article please subscribe to the blog on the left side at the bottom of this page. 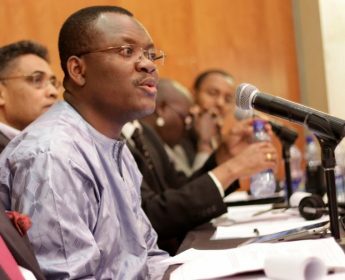 ← African Union Reform Decisions: How will Change Happen? Thank you so much Mr. Désiré for this analysis and valuable information. Keep it coming. I am now your regular reader.